“We looked at these two games of Motherwell and Dundee after the disappointing result at Hearts, to try and get maximum points before we go into the split. 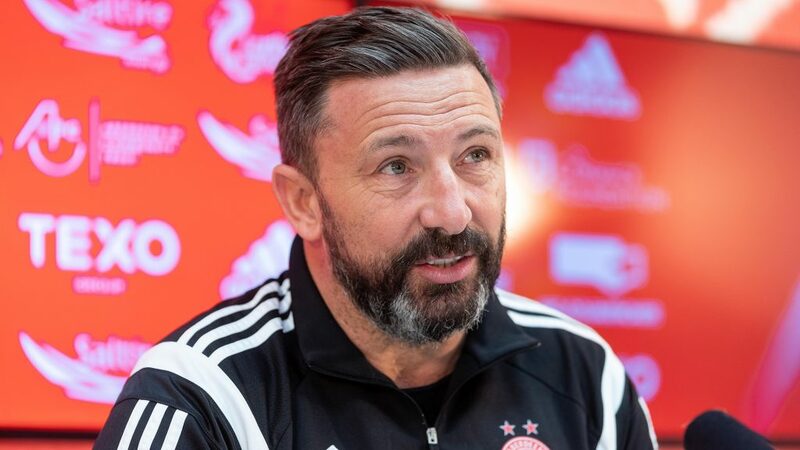 “When you go into the post-split fixtures you’re up against the best teams in the league and getting those wins are always that bit more of a challenge. “The challenge tomorrow is clear that we’re up against a team that are fighting for their lives and although they’ve had a couple of disappointing results recently, their season’s come down to six games as is ours in terms of the league. “The focus should be there and the motivation to do well was clear with the performance the other night. “Motherwell came here to try take us on, which was quite refreshing. “They opened up to play and you could see they were confident and it was a challenge to overcome. “We felt we had a bit more space to work in at certain times of the game, created plenty opportunities and ended up winning the game deservedly. “Each game presents a challenge and we’ve overcome a lot of those challenges recently on the road and we’ve another one tomorrow. We’ll have a strong backing tomorrow with two and a half thousand supporters making their way and we all know the importance of getting the club into Europe. “I think the Celtic defeat in particular was really harsh on them. Being at home the last time out I thought they were very good in that game and were unfortunate not to get something from the game. They’ve had a couple of disappointing since that, which can happen, but I know Jim well and I know how determined he is to get things right at Dundee. He knows his job is to keep them in the league and we fully expect a tough challenge tomorrow. 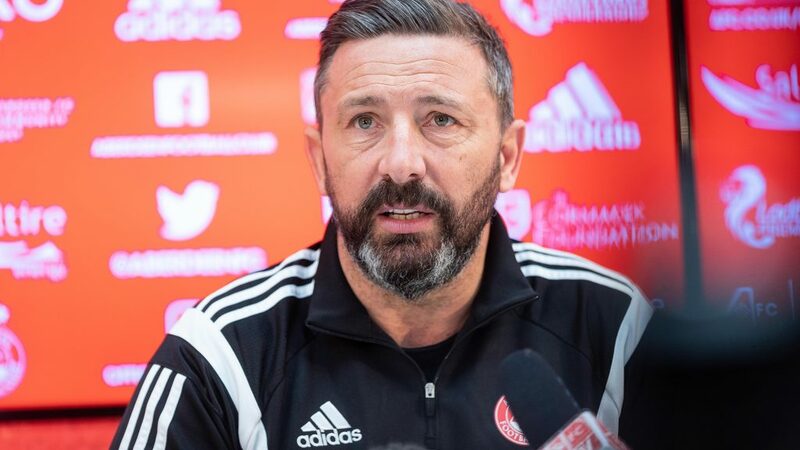 “We played Motherwell the other night who were fighting for top six and now playing Dundee who are fighting to stay in the league and every other game after that will have something on it. “We want to go into the semi-final in fine fettle and hopefully a win tomorrow will help us achieve that. “The likes of Kenny Miller has always shown his qualities at every team he’s played at. They’ve got others and some decent speed in wide areas and plenty of experience. “The statement we put out was to try and reflect that (great service). “We could have waited to speak about Mark today, but we wanted to put across our warmth towards Mark as a boy and as a player, who has done very well for us here. “It was his decision. He felt on the back of the injury he suffered in pre-season that he wanted to go play some games and go out on loan. We agreed to that because we understood coming out of contract it was an opportunity to put himself in the shop window, but also to go play the games that he needed at that stage. Dundee United have been fortunate to get Mark and I think he’s enjoyed himself there. They gave him a fantastic offer and a three year contract for someone at Mark’s age is something he couldn’t turn down. “Greg’s someone I was hopeful of trying to sign since January really. “We’re disappointed that we have been cited.